Every day, the eye doctors at our optometry office in Plano, TX answer many questions patients commonly have about eye care. To help visitors to Plano optometry clinic website, our eye care professionals at Plano Eye Care answer many of these frequently asked questions. The cost of an eye exam depends on a number of factors, including your insurance coverage, the type of eye exam you need and the different eye tests included in that exam, whether the exam is performed by an ophthalmologist or by an optometrist, and whether the exam includes a contact lens fitting or other service related to contact lenses. Does the Plano Eye Care Center accept insurance? Yes, we accept most major insurance providers. Our hours are 8 am to 5 pm Monday through Thursday, 8 am to noon on Friday, and by appointment on Saturdays. We do close on Sundays to enjoy time with our families. What types of contact lenses do you offer? We also offer specialty lenses, also known as hard-to-fit lenses, for patients with astigmatism, dry eyes, giant papillary conjunctivitis, keratoconus and presbyopia. What eyewear brands do you offer? We carry many high-quality brand name frames and glasses to compliment your style, such as Nike, Calvin Klein, Coach, Michael Kors, Maui Jim, Oakley, D&G, Ray Ban, Prada, Vera Wang and many more. What eye care services do you offer? The Plano Eye Care Center offers a variety of eye care services to fit your vision needs, including comprehensive eye exams for adults and children, prescription glasses exams, contact lens exams, and exams for hard-to-fit contacts. Our eye doctors perform a number of testing and diagnostic procedures to detect and diagnose eye diseases, such as dry eye, glaucoma, cataracts, and macular degeneration. We perform many services associated with eye health, including pediatric eye care for children, senior eye care, sports vision checks, computer vision checks, and pre- and post-operative care for LASIK surgery. We also offer a large selection of prescription glasses and prescription sunglasses lenses and frames. We carry many different types of contact lenses, including multifocal, bifocal, colored lenses, RPG lenses and daily, weekly and monthly disposable lenses. What to expect during my first appointment with our Plano eye doctor? Your first visit with Plano Eye Care is an opportunity for our eye care professionals to become familiar with your eyes and discover ways to improve your eye health. During your first appointment, we will important information to help us care for your eyes. You will provide fill out paperwork to provide contact information and insurance information, for example. We may request that you fill out a medical history form, as diabetes and other medical conditions can affect your eyesight and eye care. We might also ask about any corrective lenses, treatments or surgeries that you have undergone. Our eye doctors will then perform different tests, depending on your personal needs and eye health history. If you are a younger person in need of corrective lenses for clearer vision, for example, we will perform visual acuity tests and other testing to create those lenses. 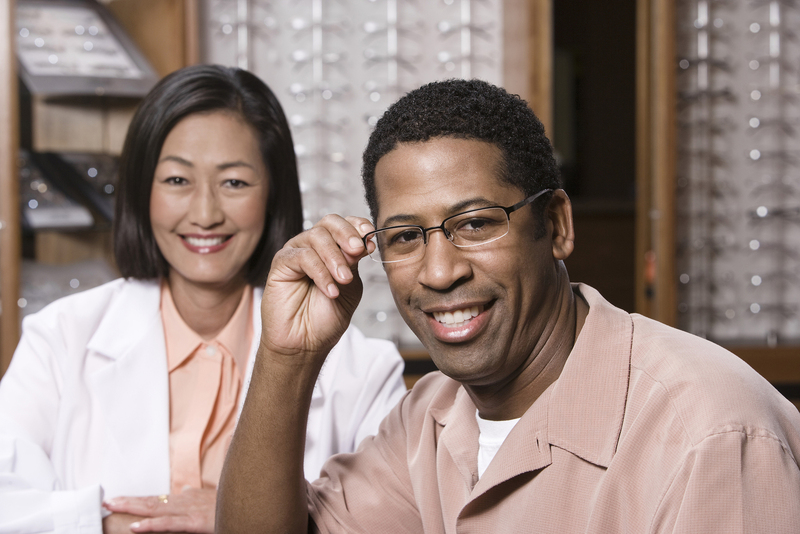 If you are in need of eye care, schedule an appointment with Plano Eye Care online or by calling 972-964-3937. Our optometry office in Plano, TX is conveniently located at 4104 W 15th St #100.